This year marks the 42nd Anniversary of Suffolk, Virginia's premier festival. This family-friendly event honors the city's agriculture heritage and devotion to peanuts, our favorite legumes. 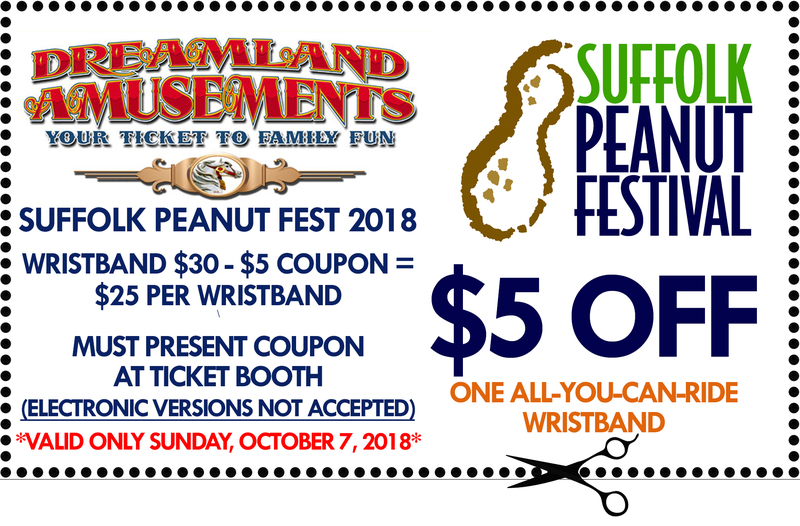 Known for its fun family activities, Suffolk Peanut Fest offers concerts, amusement rides, contests and competitions, a demolition derby, motorcycle rally, shrimp feast, fireworks and much more. Combine all of these great activities with local and national entertainment and you have a weekend full of good times! $10 per person, per entry.